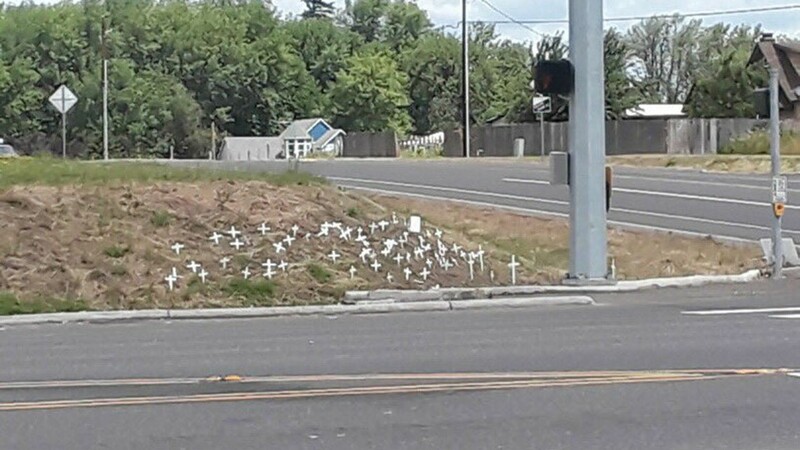 Dozens of makeshift crosses now mark the site where hundreds of chickens were injured or killed when a Foster Farms truck carrying more than 5,000 birds crashed. CLARK COUNTY, Wash. – They may be gone, but they haven’t been forgotten. 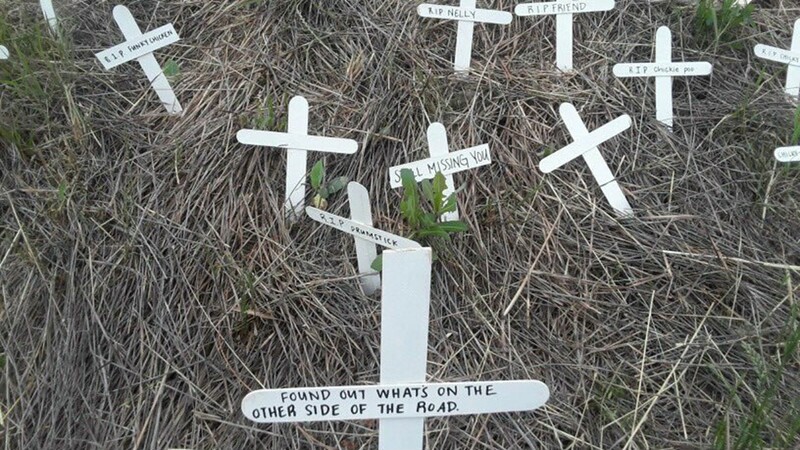 Dozens of makeshift crosses now mark the site where hundreds of chickens were injured or killed when a Foster Farms truck carrying more than 5,000 birds rolled over Monday afternoon. 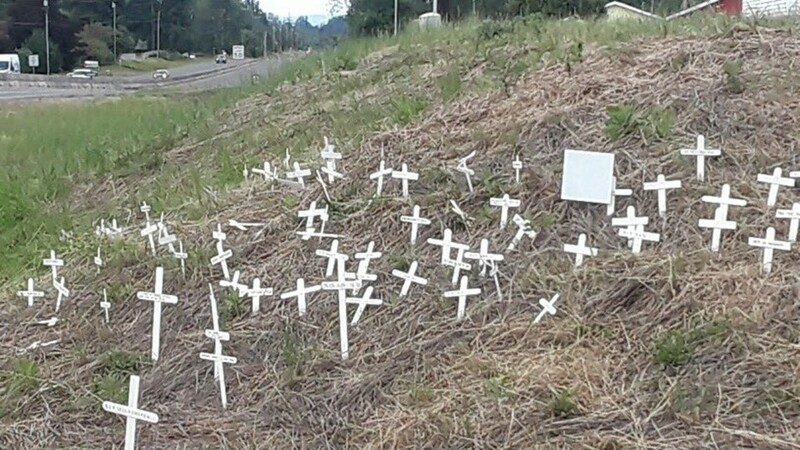 Crosses at the scene of the truck crash in Clark County. Monday’s crash shut down the intersection of SR 502 and 29th Avenue in Clark County for several hours as Foster Farms workers cleaned up the scene. While that was going on, animal rights activists arrived. One of the activists, Amber Canavan, grabbed an injured chicken and refused requests from law enforcement officers to let it go. A standoff between the activists and police unfolded on Facebook Live. The activists wanted to bring the lone chicken to a sanctuary, but sheriff’s deputies told them Foster Farms would not allow it for liability reasons. Negotiations stalled and deputies took the bird from Canavan. She was arrested for obstruction of justice and theft. 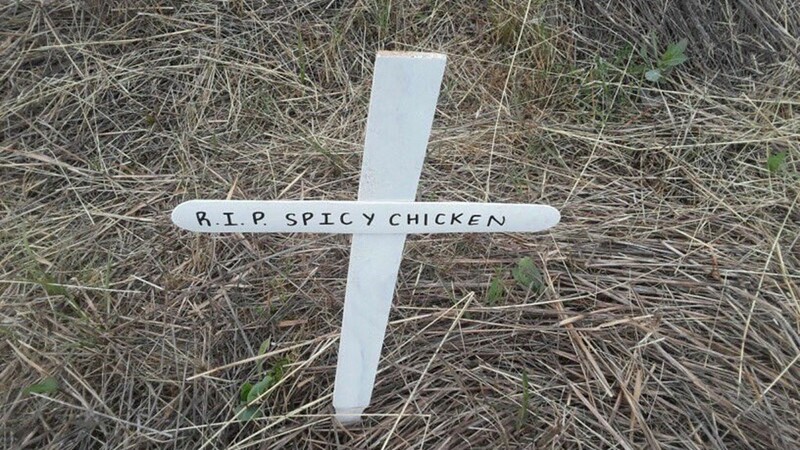 On Tuesday night, activists held a candlelight vigil for the chickens that were killed and injured in the crash.